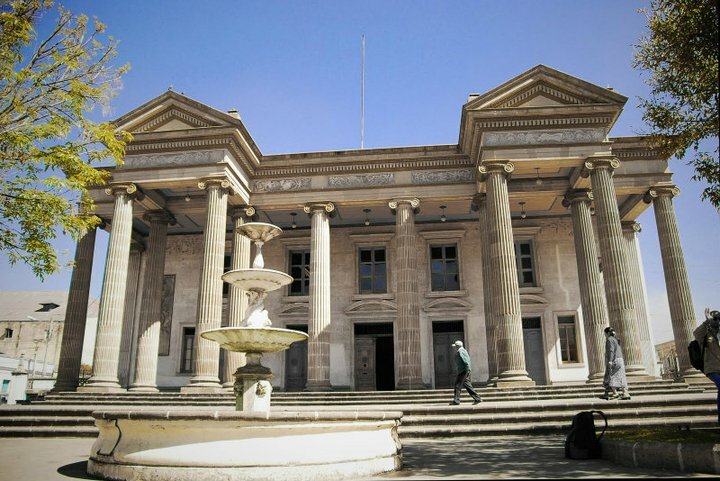 We may not have the plethora of colonial buildings to match Antigua here in Xela, but it doesn’t mean there aren’t interesting historical sites and beautiful buildings to visit here. This article gives you an idea of some places you can look around Xela to find history and culture. Built in 1524, this ancient church maintains the claim as the first church to be built in Central America and also holds the first image of the Virgin of Conception. 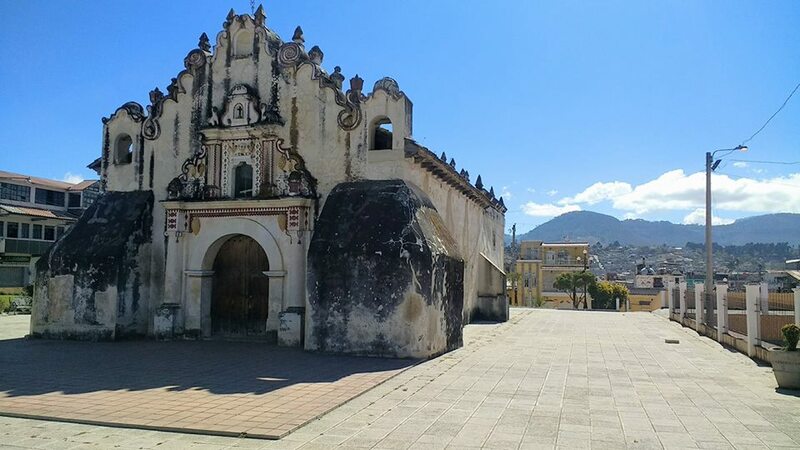 It stands in Salcaja, a town nearby to Xela, and an added bonus to this particular visit is the locally brewed fruity spirit that can be sampled in many spots around the church itself. While the church is very impressive and unique from the outside, it is unfortunately very rare that it is possible to see the inside. The church is just a short bus trip from Xela and the visit, including a quick explore of the town of Salcaja should only take a few hours. If you are lucky, and the church is open, it is also free entrance. Famously the face of many Lonely Planet guides for Guatemala a few years ago, this must surely be one of the most colorful churches you will ever see! 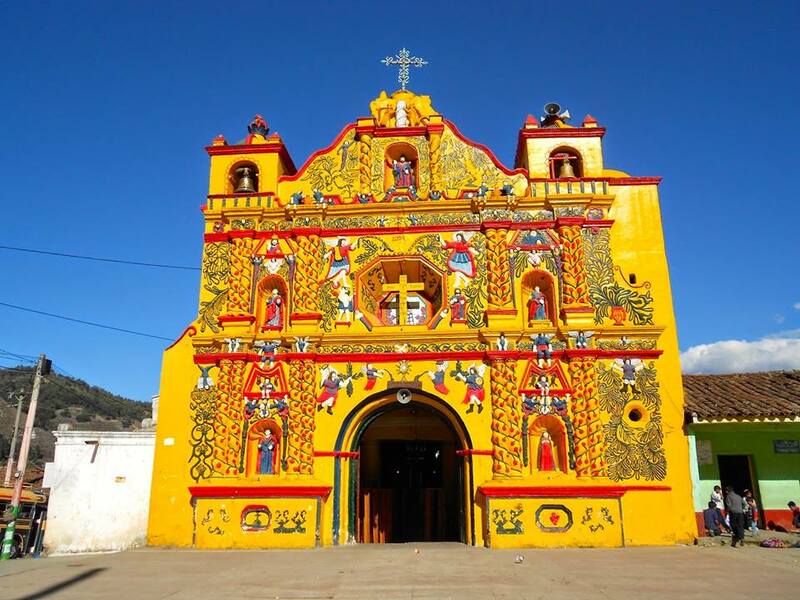 Believed to be constructed in the 17 th Century, San Andres Xecul combines the religious aspects of the church with Guatemala’s love all things colorful. An extra bonus feature of this site is the wooden pole that stands opposite to the church in the square. The pole is used for certain festivals in the town where someone must climb up and climb across the square to the church via a piece of rope. A short climb up the hill, the small color coordinated chapel also offers stunning into the valley below the town. The trip is slightly longer than Ermita de la Concepcion in Salcaja but we think Calvario offers a bit more bang for your buck in terms of things to do. Alongside Pasaje Enriquez, the theatre is the most impressive building in Xela. Built by Durini in 1895, it stands just up the hill from the Central Park as the centre of culture in Xela. It is worth keeping an eye out for the variety of high quality performances that are held here, or if nothing catches your eye you should take 20 minutes to have a look around this impressive building. Performances are very well priced and can sometimes even be free. If you are here in March it is the best time to visit the theatre, with musicians visiting from all around the world to perform completely free in the annual Jazz Festival. Have a spare afternoon and fancy a walk in the sunshine? Here’s a cheap and easy option for a stroll that packs a bit of culture. 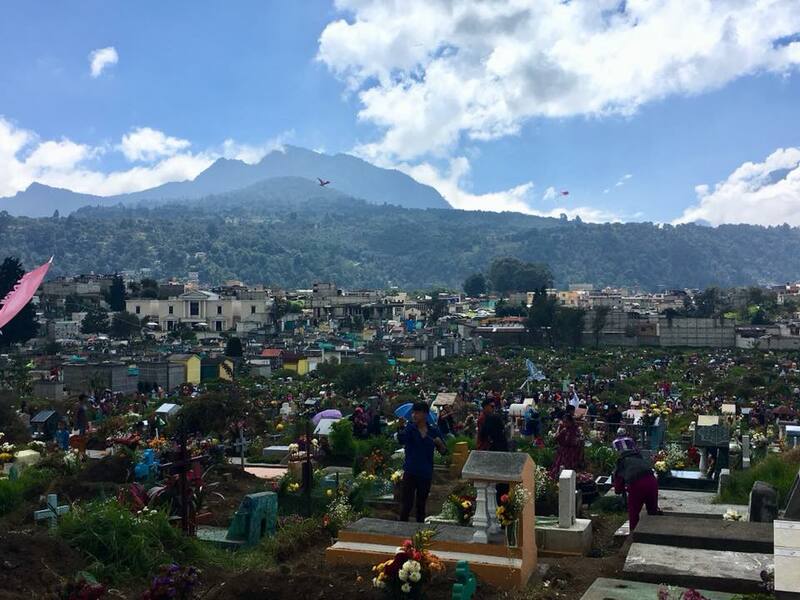 Guatemalan cementeries, unlike what you may experience at home, are a unique place to visit for their impressively colorful tombs. Arguably the best known personality who lies in the cemetery is the first president of the Sexto Estado de Los Altos, Roberto Molina. The cemetery is easily found by walking from the Central Park towards Parque El Calvario, where the entrance can be found behind the church at the far end of the square.